Founded in 2012, the company has raised more than 3 M€ and received a grant of 1.75 M€ from the European Commission for PayPlug Labs, its R&D program. Natixis Payments became the majority shareholder of PayPlug in April 2017. Natixis provides user-centric and tailored solutions across Europe for retail, corporates, SMEs, public authorities, associations, financial institutions, fintechs and individuals. Part of Groupe BPCE, the 2nd-largest banking group in France, Natixis Payments draws on its technology, its fintech affiliates and its expert staff to develop solutions in-house and with carefully selected partners. For its clients and their customers, Natixis Payments is committed to building a better payment experience every day. The PayPlug Labs project has received funding from the European Union’s Horizon 2020 research and innovation program (SME Instrument) under grant agreement No 666287. Our security and compliance specialists are here to protect customer data and implement regulatory processes. We have been audited by XMCO and have obtained PCI DSS Service Provider certification, the strictest security standard for handing credit card data (Visa website). PayPlug is registered as a Licensed Payment Institution with the Authority of Prudential Control and Resolution under the number CIB 16778 (Regafi website). PayPlug has been supported by many innovation-focused institutions since its was founded. 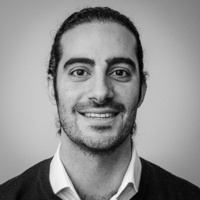 Camille Tyan is PayPlug’s co-founder and CEO, and runs product development, growth and strategy. With 10 years of experience in the financial, technology and media sectors, he began his career in consulting at McKinsey & Company, and then worked within Google’s global sales strategy group. He holds an electrical engineering degree from McGill University and an MBA from Harvard Business School. 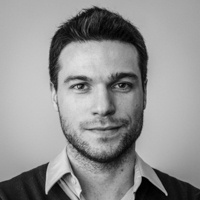 Antoine Grimaud is PayPlug’s co-founder and COO, and runs financial activities, risk management, and the development of fraud prediction technologies. An engineer by training, he has spent his career in the banking and financial sectors, including at the French Development Agency, for which he launched the investment activities in Brazil. He holds an engineering degree from Ecole Polytechnique and an MBA from Harvard Business School. PayPlug is growing fast and is looking for dynamic and passionate people.